Start your night on the town with a visit to one of Berlin’s finest cocktail or wine bars. 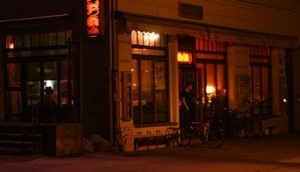 Berlin has a vast array of hidden away gems where you can sit and indulge in a beverage before heading out to a restaurant, club or the theatre. Check out My Destination Berlin for the lowdown on the best wine and cocktail bars in Mitte, Prenzlauer Berg, Friedrichshain and Kreuzberg where the best bars are located. Here you can order a classic or modern cocktail, or an exquisite bottle or glass of wine and enjoy the ambience in some of Berlin's finest establishments. A bar in homage to, you guessed it, Quentin Tarantino. Tussy lounge is a step back in time, with cocktails. This is a night time fairytale bar adventure, with cocktails! Enjoy a beverage in an original S-bahn train car rom the 1920's!